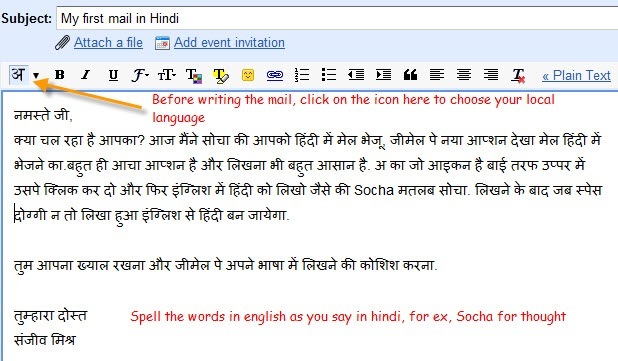 Communicate with your friends and family thru email written in your local languages. 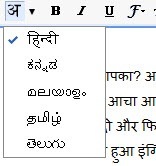 Gmail provided an option to write an email in Indian languages like Hindi, Tamil, Telugu, Marathi, Kannada and Malayalam. 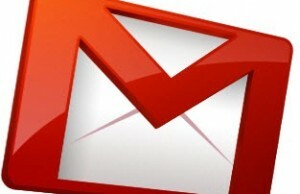 This will boost the email market of Gmail by a huge amount because this way the reach can extend to the remote areas of India. Google started the “Google Bus Service” to educate Indians living in remote areas about Internet and its usage. Now they provided the option to write an email in Indian Languages on Gmail. They are targeting new users on Internet to addict them with Google Products which is going good till now.